The first film adaptation of the book, the same title, was by Academy Award winner Satyajit Ray in 1984, and it went on to become one of the best Bengali classics of all time. Ray’s Ghare Baire featured Soumitra Chatterjee, Victor Banerjee and Swatilekha Sengupta as the three main protagonists on whom the story is centered. 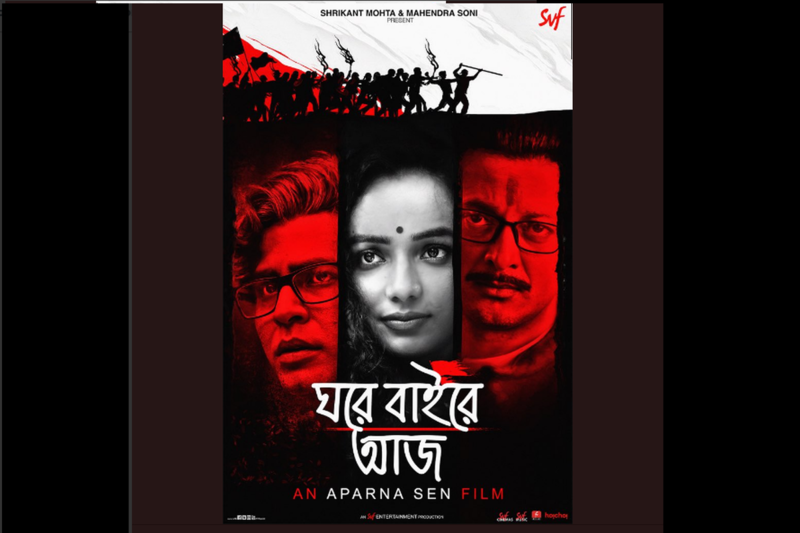 The film won the National Film Award for Best Feature film in Bengali. Ghawre Bairey Aaj stars Tuhina Das as the main lead- Brinda, a modern take on Bimala, Anirban Bhattacharya-as Nikhilesh, Bimala’s husband and Jisshu will be seen portraying Sandip. The film also stars Sreenanda Shankar and Anjan Dutt in key roles. Last year, Sen had commented on what prompted her to make a remake of the classic. The actor-director had conceived the idea for the film following activist-journalist, Gauri Lankesh’s murder. Ghare Baire, the novel, was set in the turbulent pre-Independent India with characters undergoing changes and being affected by the political climate of Bengal. The domestic relationship between Bimala, Sandip and Nikhilesh is as much affected by the happenings of the outside world. Sen has incorporated this theme of the original text besides modernizing it. “My film is also about the passionate relationship between Nikhilesh, Bimala and Sandip, but it is set against the turbulent political scenario of today’s India,” she said. Jisshu will play an angry Leftist student of 22 and later when older will be shown as a nationalist leader. Tuhina Das will play a young Dalit girl, Brinda Chowdhary. Anirban will play a publishing editor of an online progressive and liberal newspaper.